Unhealthy diets have consistently been linked to poor health outcomes including an increased risk of chronic disease, other health complications and, in some cases, premature death. Increasing research into nutrition has found that dietary patterns may be a more beneficial focus when it comes to eating well rather than obsessing on single nutrients. Dietary patterns suggest a more long-term approach to nutrition whereby you adopt a style of eating and cooking that can be sustained for the long term. Adhering to a Mediterranean style diet is an example of this. In contrast, diets that focus on single nutrients tend to be more ‘faddish’ in nature like low carbohydrate (e.g. Atkins) diets or no-fat diets. 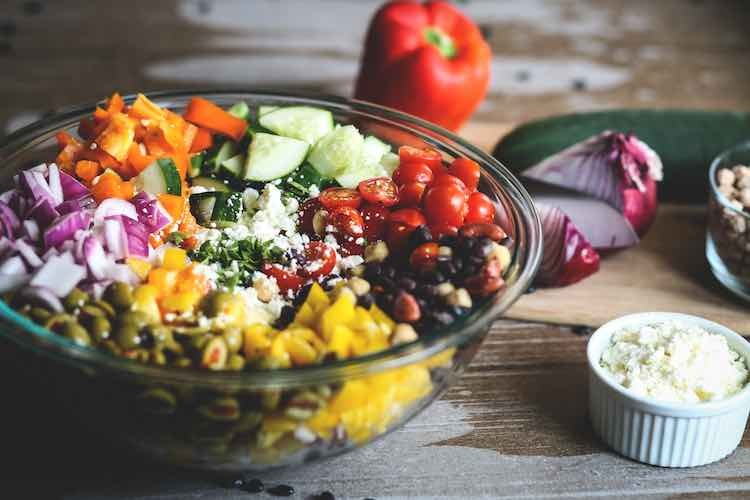 US dietary guidelines have recommend three dietary patterns as beneficial and actionable for the American public to adopt: the Alternate Healthy Eating Index, the Alternate Mediterranean Diet and the Dietary Approaches to Stop Hypertension (DASH) diet. Researchers assessed the association between changes in adherence to these dietary patterns over a 12 year period and the risk of total and cause-specific death. Data from two large studies were analysed – the Nurses’ Health Study (initiated in 1976, involving more than 120,000 registered nurses) and the Health Professionals Follow-up Study (initiated in in 1986, involving more than 50,000 US health professionals). Medical and lifestyle information was collected from participants on an ongoing basis. Food frequency questionnaires assessing how often different foods are consumed were administered at the beginning of the study and every four years thereafter. From this, researchers calculated scores according to level of adherence to the three dietary patterns mentioned above. Deaths, and their underlying cause when known, were recorded. The results showed a consistent association between improved diet quality, as assessed by the three dietary patterns and a reduced risk of death over a 12 year period. Conversely, poorer diet quality over 12 years was associated with between 6 to 12% increase in death. These results support the notion of adopting a dietary pattern rather than focusing on a single nutrient group. Diets high in fruits, vegetables, whole grains and fish, and low in sugar, salt and saturated fats consistently show benefits in improved health outcomes. While fad diets may be effective in promoting large weight loss in a short period of time, much of the struggle lies in maintaining weight loss. You have a much better chance of maintaining a healthy weight for the long-term if you adopt a well-rounded and sustainable dietary patterns that is loaded with a wide variety of healthy and nutritious foods. Sotos-Prieto, M et al. (2017). Association of Changes in Diet Quality with Total and Cause-Specific Mortality. N Engl J Med; 377: 143 – 53. DOI: 10.1056/NEJMoa1613502.